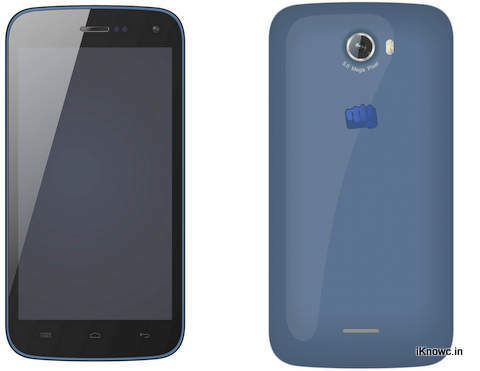 Micromax has announced yet another smartphone in Bolt series, the Bolt A068. The phone is available from online retailer Snapdeal. The Micromax Bolt A068 has 5 inch display, 1.0GHz dual core CPU and 5-megapixel primary shooter. The handset runs on Android 4.2 Jelly bean OS and has 512MB of RAM. It is priced at RS 7108 and comes in Blue color. The device houses 2000 mAh battery like most of Canvas smartphones, which offers 7 hours of talk time. The phone comes with Dual SIM support and has G sensor. It features 3G, WiFi, Bluetooth, GPS and Fm Radio.